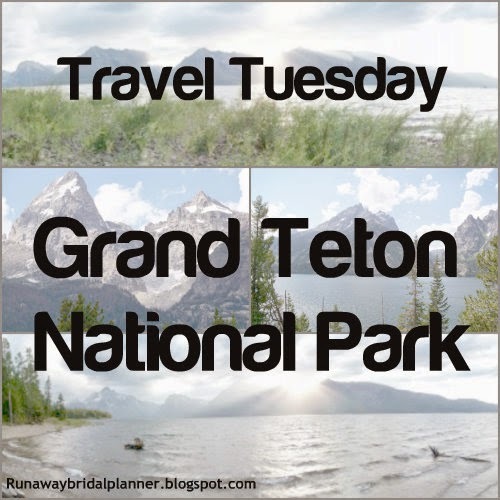 This week for Travel Tuesday I am taking you to Grand Teton National Park. This beautiful National Park is in Wyoming. Just south of Yellowstone National Park and just north of Jackson Hole. 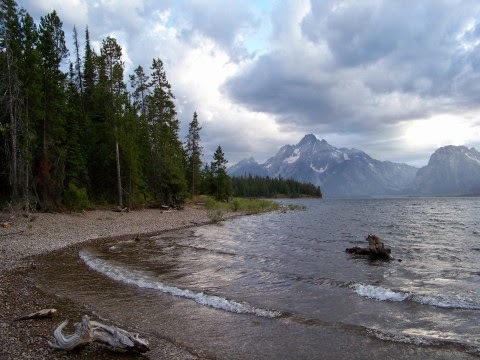 Grand Teton is full of beautiful lakes that are great for fishing, boating, kayaking or canoe and even swimming (depending on the time of year.) 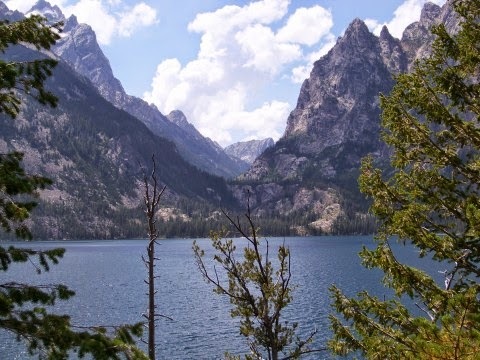 It's also nearby the Snake River, where you can take day floating trips. 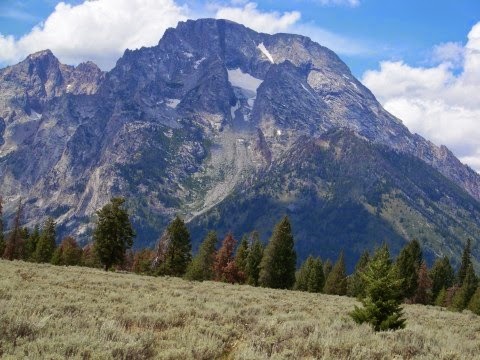 The Teton's are also full of hiking trails, a hikers paradise of over 200 miles of trails. Day hikes, or backpackers will love the range and forests and peaks in this park. Most of the hikes are a bit more rugged so you'll want to check in at the visitors center and get a good map and familiarize yourself with the hikes and the area first. 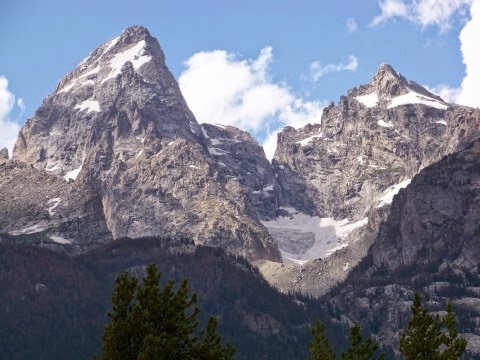 Teton's aren't just for the summer, lots of people come to visit in the winter for snowshoeing and snowmobiling. However, you may need to check for permits for those things as well as overnight backpacking. Camping, lots of campgrounds to choose from. They have both sites with hook-ups or none. To my knowledge they are all first come first serve, but you may be able to reserve some of the group sites. Scenic driving. Even if you are only driving through and only have a day. 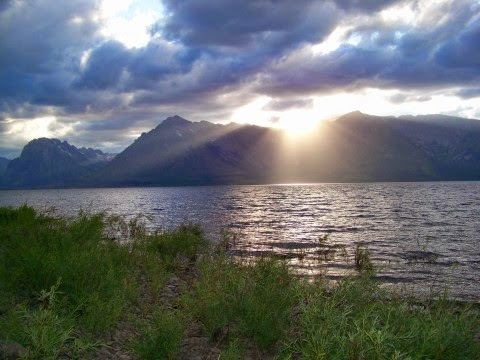 You'll find lots of beautiful views and sights to see just taking the scenic driving tour routes around Jenny Lake and Signal Mountain. 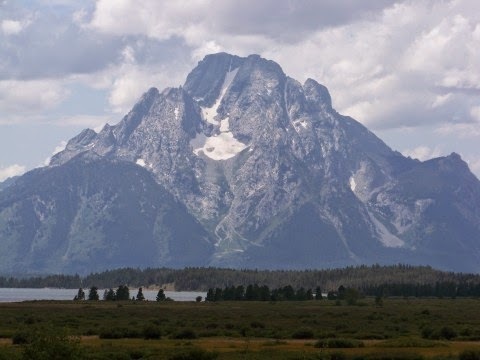 * Near Yellowstone, this is a great place to add to your travel list if you will be visiting Yellowstone or Jackson Hole, Wyoming. * Hiking, carry a map, GPS and water. This is also bear country so bear spray is also a good idea. * Bug repellent, I found this to be a must in the evenings. * Lots of places to eat and gift shops nearby.